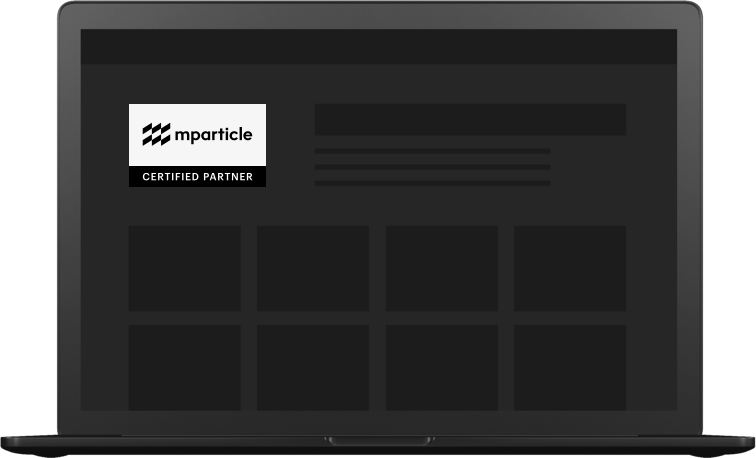 mParticle certified partners help brands develop, design, and deploy best-in-breed apps and customer experiences. Prolific Interactive is a mobile-focused product agency based in Brooklyn and San Francisco, building and growing mobile experiences for leading brands including American Express, Sephora, Gap, and SoulCycle. Bottle Rocket is a mobile and connected device application design and development studio that enhances the brand/customer experience via creation of innovative software products. POSSIBLE Mobile brings next-level mobile experiences to the brands you love, designing and building apps for the future. YML is a creative technology firm that helps companies such as Apple, PayPal, and EMC build disruptive products that impact their core business and revolutionize the way they interact with their customers. The Mobile Growth Agency creates and executes comprehensive strategies to acquire and engage mobile app users. Bamboo is a direct-response, creative-obsessed, paid social ad agency in San Francisco. The team has successfully managed ~$100MM in spend for clients like Uber, HotelTonight, and the New York Times. The badge signifies that partners have met the mParticle Certification requirements and have the most up to date product knowledge.